Always be sure that no trees, buildings, people, or other objects are obstructing your view. With crowds of people, it will be difficult to move around, so choose a good viewing area from the start. Use of a tripod and remote will eliminate and unnecessary movement and allow for sharper shots. Utilize the burst mode on a camera to ensure the capture of the entire lifespan of a firework. This will not only capture the best shot, but give options when searching for the perfect picture. Fireworks change color, size and effect throughout the shot making burst mode the best option for capturing the entire fireworks display. Use blur to your advantage by adjusting your camera’s manual mode to a low shutter speed. This will create a light trail effect that will enhance fireworks pictures. We love capturing spectacular pictures that display our passion and talent for pyrotechnics and hope these tips will help you to catch the picture perfect moment. How did we get our start?! 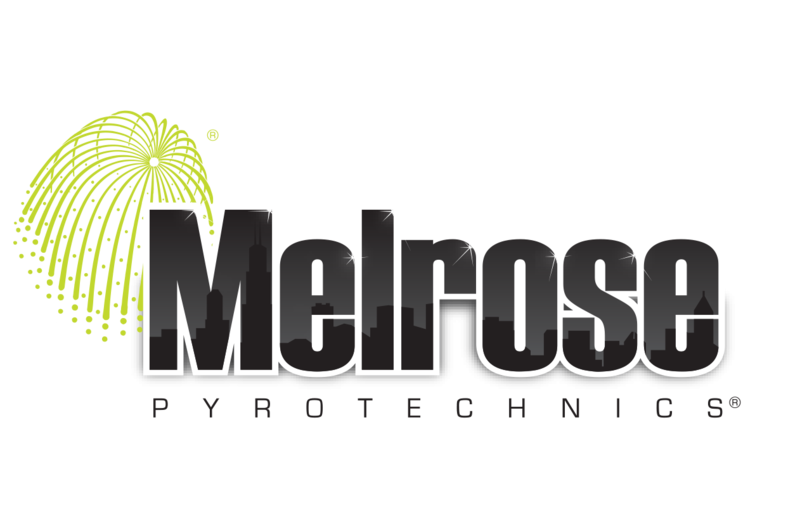 The great grandfather of Mike Cartolano, now President of Melrose Pyrotechnics, carried his craft from Italy to America at the turn of the 20th century. He settled in Melrose Park, Illinois, where family ancestors on both sides joined forces to create family and community traditions featuring fireworks displays. Mike’s father Anthony Cartolano collaborated with the Chicago White Sox in the development of the exploding scoreboard in 1960, beginning a fireworks display tradition that continues to thrill Sox fans today. The above photo of the July 4, 1960 issue of Sports Illustrated captures an important point in the history of Melrose Pyrotechnics. In the fireworks industry, the term “passfire” represents the passing of fire between the components of a shell. The Passfire documentary, currently in production by the Veverka Bros., is being created to share the global love and passion for fireworks, as well as the cultural significance of fireworks. The Ververka Bros. are traveling the world to film all aspects of this industry from the manufacturing of shells to the creation of full blown pyromusical productions. Fireworks are significant for many cultures and are a way of life for many people. This documentary is being made to showcase fireworks manufactures, who, in some cultures, craft each and every shell by hand, and the passion in this industry, along with the human fascination of fire and pyrotechnics. They have been able to fund this project by asking for backings via Kickstarter and are currently striving to meet their second goal to extend and complete the film. We are excited for Passfire to be completed. Melrose may even a small part of the film, as they filmed our technicians while setting up for our fireworks display in April of 2013 at the Da Nang International Fireworks Competition in Vietnam. This is a great opportunity to show our passion and knowledge for fireworks, as well as showcase our talent in fireworks displays and pyromusicals. We can’t wait for the completion of this documentary! Ever wonder how stadiums gets those rooftop fireworks? This past December, we were visited by the Chicago Bears Football Club. The show, Inside the Bears, wanted to dig a little deeper into the makings of our stadium rooftop and player introduction fireworks displays. The video about our company aired Saturday, January 18th on Fox and features our very own Event Producer, Wynn Cramer and Creative Director, Matt Peterson, as well as Display Choreographer, Kim Mitzel. It takes a closer look at the entire process from start to finish. We perfect the client’s vision utilizing 3D animation, synchronize the firing devices down to 1/10 of a second and complete the set-up by placing all pyrotechnics at strategically chosen locations. Game times hits, and boom, our pyrotechnics are there to ensure crowd satisfaction and raise the level of entertainment value. All while making certain that safety is the number one priority. Missed the Chinese New Year Celebration? Bring in the Year of the Horse and watch a small piece of our fireworks display from Saturday, February 1st. It was the largest Chinese New Year display in the United States and featured traditional red, gold, and silver shells. It was held in Chicago, Il and shot off a barge in Lake Michigan. We were able to battle the freezing cold temps and ice to put on a great fireworks display for the City of Chicago and all its visitors.